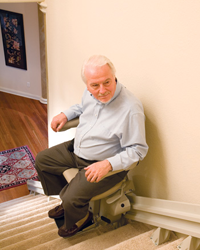 A quick review of stair lift pricing determines that typical, straight line chair lifts cost between $3,000 and $4,000. Installing a special stair lift for curved or spiral stairs may increase the cost to as much as $12,000. These prices include installation, which are usually provided in the price. To save money, you can buy refurbished chair lifts, which are just as reliable as a new one and can save you up to 30 percent. Most every manufacturer will offer some sort of warranty on their models. A lot of stair lift companies offer you the option to rent a chair on a monthly basis, which can save you thousands of dollars on the purchase of a new one. The best way to save money on a stair lift is to choose a dependable company that does a thorough job in giving you a price. Some companies give you a price quote with a quick check of your house or a quote over the phone. The price they give is seldom accurate and can cost you thousands in added extras. Good companies do a thorough check of you house and stair system and walk you through the buying process. Their quotes are very accurate and can save you thousands of dollars in unwanted fees. Indy Stair Lifts, a division of Nationwide Lifts, is the nationwide leader that offers a variety of top of the line and reasonably priced models. We also offer used stair lifts and rental plans to save your more. Our lifts range in style and size and perfectly match the needs of your home, with models specially designed for narrow and curved staircases. 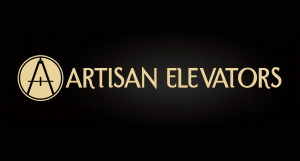 To find out more about our top of the line stair lifts that are tailored to your needs and your budget, please call us today at 1-888-203-5754. We’ll be happy to provide you with free quotes and will visit your home to inspect your stairway to determine the best model to be installed by our professional technicians.